When A Soldier Brings War Back Home For many family members of those who served honorably in the National Guard and Army Reserves, Memorial Day brings a painful reminder of the casualty of war at home. Nationally, the number of off-duty members who've committed suicide has nearly doubled from 80 in 2009 to 145 last year. 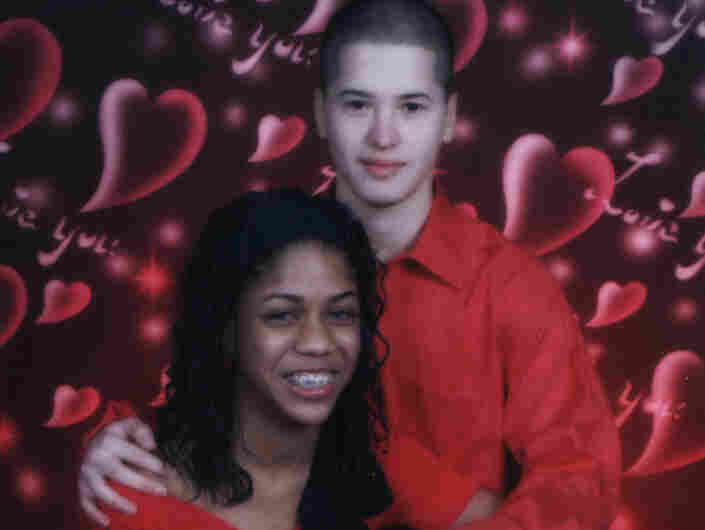 In 2007, during their senior year of high school, Jadira and Ivan Lopez skipped school, wore matching red shirts, went to the mall and had their photo taken. "Well, we started arguing from the beginning. After New Year's 2010, that's when it really went out of hand," Jadira says. Matos recalls a heart-to-heart he had with Lopez at annual training last summer. "We sat down and he asked me, 'Do you think we're still the same?' And I told him 'No, we're not. We're different guys now,'" Matos says. Days after their conversation, Lopez was admitted to the hospital for a week. His wife says he was diagnosed with post-traumatic stress disorder. He was sent home with medication and an emergency hotline number. "He felt really depressed and his life wasn't worth anything. He didn't follow up with therapy but they didn't follow up with me either," Jadira says. Lopez also didn't regularly take his medication. He said it made him too sleepy to work his night shift. Matos says not long after the birth of the couple's second child, Lopez started missing monthly drills. "He thought that he didn't need help from nobody. He didn't want to be diagnosed with post-traumatic stress disorder. He said, 'I don't want that. What the hell is that? I don't want that,'" Matos says. By winter, the couple separated. On Jan. 27, Lopez called his wife. "I remember the last thing he told me was, 'I love you. And tell the kids I love 'em,'" Jadira says. The next day she discovered her husband had hanged himself in their home. He was 23 years old. "My stepdad had got him down, tried to give him CPR to see if he would come back," she says. This February, the pastor who married Jadira and Ivan also led his funeral service. For Capt. John Felts, Lopez's unit commander, it was the first flag he has presented. "It was hard. I don't think anyone wants to ever lose a soldier. I feel it was a combat death — or a combat-related death," Felts says. He says when a guardsman returns home, the warning signs are often missed. "In active duty, people see this person every day, and you can grab that soldier immediately and say 'Get this help,' where in the Guard and Reserve, we only see the guys one weekend a month. We have to come up with better ways to create a support system for these guys," Felts says. Matos, who also suffers from PTSD, says he will never forget his friend. "He will always be my hero. When I'm at my lowest, I will think of him, and that's what's going to dig me out of my situation," Matos says. Lopez was the 14th Pennsylvania Guardsman to have committed suicide since 2003.